Home Inns has turned into another interesting Chinese ADR saga. It appears to me that this is more to do with an extremely jittery market than anything relating to a continuation of the fraudcap dynamics that have taken down Chinese reverse mergers and Sino-Forest. Overnight the company has secured financing of $240M termed out to September of 2016. The loan was from CSFB and JP Morgan. A couple of Wall Street analysts, including Kevin Yin of CSFB are out defending the shares. It is being reported by Kevin that the company took calls overnight and stated there has been no change in business trends and that occupancy and RevPar are all in line with previous guidance. 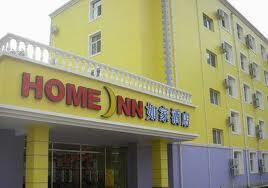 Home Inns is up 7% today recovering almost half of yesterday’s decline. This company is well positioned in the China hotel space as budget hotels expand quickly through China. If there is nothing sinister going on this will have been a great opportunity to purchase a premium China growth story. It shows how things may be getting overdone in terms of fears and cynicism amongst investors as well.